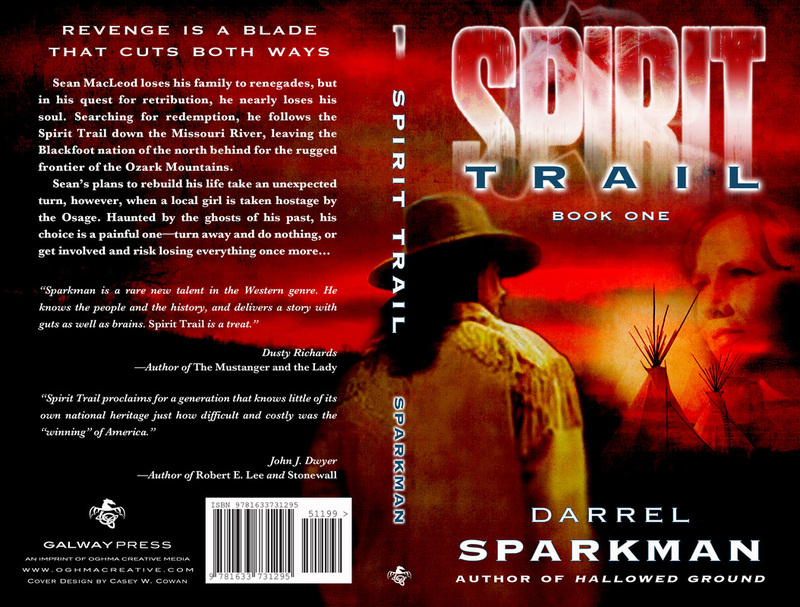 Darrel Sparkman snuck right up on me like the intrepid Ghostrider or the relentless Buffalo Shield of his memorable new Western adventure Spirit Trail. Compulsively readable from the first page, Sparkman’s story stealthily ferries the reader from an Old and very Wild West vengeance saga to a heartrending odyssey of yearning, restoration, and redemption. Of all this moving and twisty-trailed journey’s many attributes, none loom larger than the three-dimensional human authenticity of its characters. There is Sean MacLeod, the Ghostrider himself, blazing a Josey Wales- or Hugh Glass-like path of comeuppance after the slaughter of his loved ones…Buffalo Shield the fearsome Blackfoot warrior and medicine man with his own scars inside and out…Ellen Mackey, the tough but tender, beautiful but damaged heroine…Hawk, the enigmatic Osage chief…even Charbonneau the vile French trader of furs and flesh. All evince fascinating human complexity. Sparkman has crafted a page turning story that gathers velocity and power as it proceeds. For this reviewer, who has been consuming historical tales for better than half a century, few things in life are more satisfying than an adventure of the American West that delivers action, suspense, and romance, keeps the reader guessing—and increasingly anxious about what is to come—then delivers a climax whose pulsating physicality is surpassed by its heart and nobility. 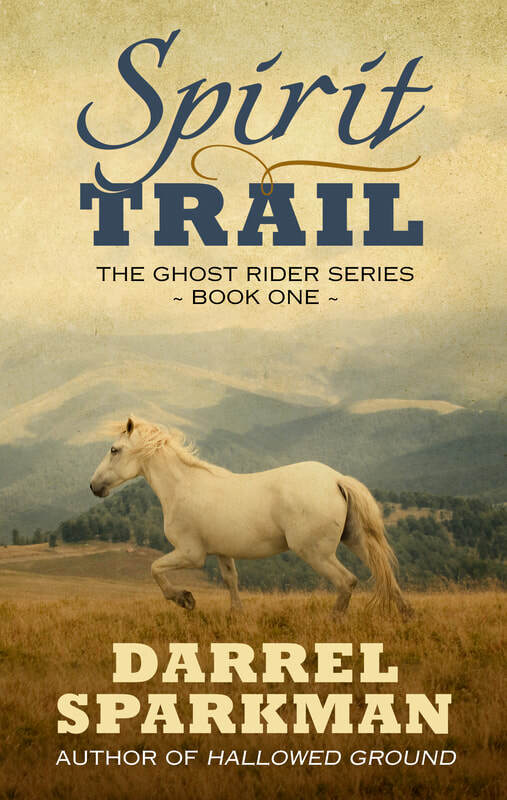 To ride the many trails and follow the evasive aspirations of the Ghostrider, “Misses” Mackey, Buffalo Shield, and others, all of them frequently at odds and cross purposes with one another, then close the book with a knot in one’s throat and tears in one’s eyes is a literary payoff of the highest order. Channeling the nonmonolithic nature of Fenimore Cooper’s American Indians, the naturalism of Frazier’s Cold Mountain, the ambiguity of McMurtry’s beautiful and terrifying West, and the wry Native characters and humor of Carter’s Josey Wales tales, Sparkman knows his terrain, its reds and whites, its wildlife and weapons, its tribal feuds north and south, including Osage vs. Cherokee and Blackfoot vs. Nez Perce, and the cycles and rhythms of its endlessly varied landscapes—and deathscapes. the current blockbuster The Revenant. In the end, Spirit Trail proclaims for a generation that knows little of its own national heritage and origins, just how difficult and costly was the “winning” of America. Harder still, it declares, was the changing of hardened, wounded hearts. Yet Darrel Sparkman leaves us the parting treasure that both change and hope are not only desirable but possible. Even, perhaps, in our own, loss- and sorrow-stained lives.